We are a family owned and run company and have been involved in the agri business for generations. We have set up a unique website to deal with the farm toy and model end of our business. So open your eyes up to the world of Hearty Farm Toys, retailers of agricultural and construction models from a variety of manufacturers like Bruder, Siku, Ros, Britains, Wiking and Universal Hobbies available in various scales and a large variety of brand names. 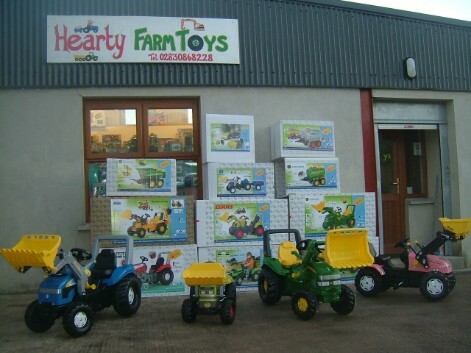 Hearty Farm Toys offer exactly what you are looking for. Should you require further information on our products feel free to contact us by phone or email. We are commited to providing a good customer service and value for money. You are very welcome to visit our retail outlet in person or we can ship goods direct to your door.